Intermittent fasting (also called alternate day fasting) has become a popular diet. In most versions of intermittent fasting, people fast or eat very little a few days each week and then eat normal amounts during the remaining days. 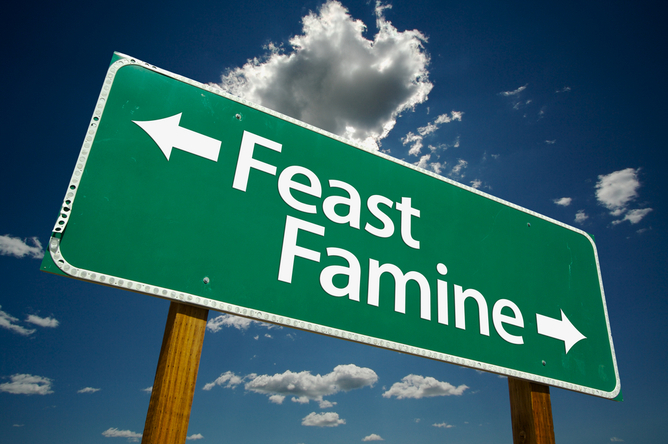 Fasting is something that human beings have practiced throughout history, often out of circumstance rather than choice. Our hunter-gatherer ancestors were probably expert fasters, indulging in feasts in times of plenty, and then facing long periods of scarcity in between. With this in mind, it makes sense that our bodies’ cells could perform well under the harsh conditions of feast and famine. As a group of medical and research students, we wanted to know if fasting causes our cells to become more resilient to damage in the absence of weight loss. And do these benefits depend on the temporary stress that fasting causes in our cells? 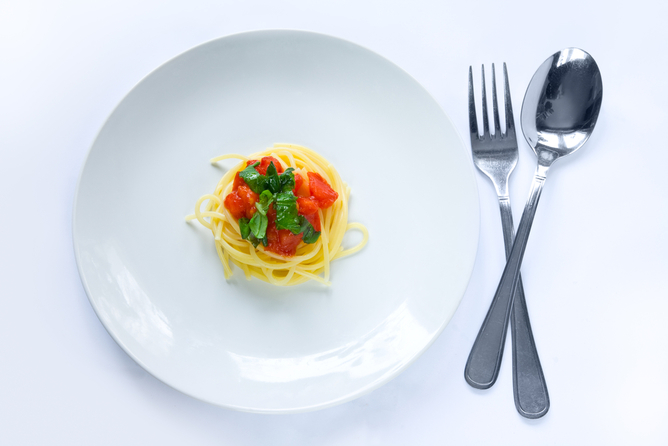 Scientists have been looking at the possible health benefits of calorie restriction for years. A prominent theory suggests these health benefits are related to the drop in blood sugar that results from fasting, which pushes our cells to work harder to utilize other forms of energy. Rhesus monkeys eating only 70% of their normal caloric intake have been shown to live much longer and are much healthier at older ages. These anti-aging benefits have also been seen in animals that are put on an intermittent fasting diet, alternating between days of normal eating and days where calories are restricted. More recently, scientists have discovered some similar effects in humans. What isn’t clear, though, is why intermittent fasting seems to have a benefit in the fight against aging. This question is complicated by the fact that in all studies performed in people, fasting led to weight loss. The health benefits of weight loss might be overshadowing the other benefits obtained from fasting alone. One way that our cells can become damaged is when they encounter oxidative stress. And preventing or repairing cell damage from oxidative stress is helpful against ageing. This stress happens when there is higher-than-normal production of free radicals, unstable molecules that carry a loosely bound extra electron. When the free radical encounters another molecule, this extra electron is passed along in a rapid chain reaction from molecule to molecule. When it reaches the end of the chain, it can break apart connections between atoms within important components of the cell, like the cellular membrane, essential proteins or even DNA. Anti-oxidants work by absorbing the unstable electrons before they can do any harm. Although fasting seems to help our cells combat damage from this process, it isn’t clear exactly how that happens. Free radicals can be generated by poorly functioning mitochondria (the powerhouses of the cell). The switch between eating normally and fasting causes cells to temporarily experience lower-than-usual levels of glucose (blood sugar), and they are forced to begin using other sources of less readily available energy, like fatty acids. This can cause the cells to turn on survival processes to remove the unhealthy mitochondria and replace them with healthy ones over time, thus reducing the production of free radicals in the long-term. It might also be true that fasting itself results in a small increase in free radical production early on during fasting. The cells may respond by increasing their levels of natural anti-oxidants to fight against future free radicals. And although free radicals are commonly seen as harmful because of their ability to damage our cells, they might be important short-term signals for our body in this case, triggering cells to cope better with more severe stresses that may come in the future. Do fasting and feasting fight aging? To understand how fasting might make cells stronger, we recruited 24 people and asked them to practice an intermittent fasting diet for two three-week periods. During the first fasting period, participants ate a specially calibrated diet and during the second three week period, they ate that diet and took oral supplements of Vitamin C and Vitamin E, which are both anti-oxidants. Because we just wanted to focus on how intermittent fasting affected cells, and not weight loss, participants ate 175% of their normal daily calorie intake on feasting days, and 25% of their normal daily intake on fasting days to prevent weight loss. We provided and carefully tracked the volunteer’s food. They ate typical American fare – things like pasta, chicken, sandwiches and desserts like ice cream. We took samples of blood before they started and just after they ended the diet so we could compare levels of byproducts of oxidative stress and markers of strong cell functioning. During the first three week period we attempted to see if fasting would increase oxidative stress (free radicals) in each person’s cells and to see if this stress actually led to stronger, more resilient cells. Then we wanted to see if taking antioxidants in the second fasting period would block the free radicals caused by the fasting, preventing the cells from becoming more resilient. In other words, we wanted to know if Vitamin C and E would shelter the cells to the point that they wouldn’t be ready to stand up for themselves later on. Anti-oxidants, like Vitamin C, can shelter cells from oxidative stress. 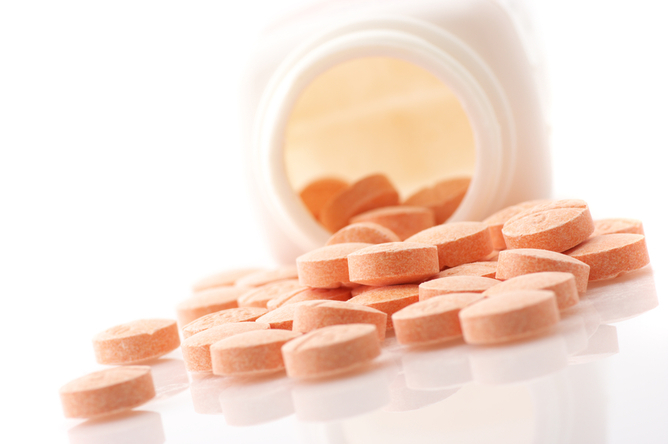 Vitamin C tablets via www.shutterstock.com. How did intermittent fasting affect people’s bodies? We found that in response to fasting every other day, the cells made more copies of a gene called SIRT3, which is part of a pathway that works to prevent free radical production and improve cellular repair processes. We also found a significant decrease in levels of circulating insulin, a sign that the participants bodies were more responsive to this hormone. This is important because when we become less sensitive to insulin, we are at risk for diabetes. One somewhat surprising finding is that when participants took daily oral supplements of Vitamin C and E, the benefits from fasting disappeared. It seems that because the cells were relatively sheltered from experiencing any oxidative stress that may have been caused by fasting every other day, they didn’t respond by increasing their natural defenses and improving their sensitivity to insulin and other stress signals. This suggests that low levels of environmental stress from things like fasting are actually good for our bodies, and that antioxidant supplements, while potentially good at certain times, might actually prevent our normal healthy cellular responses in other situations. Although our study was relatively small and only had people fasting every other day for a short time period, we were able to pick up on a few important health benefits of fasting that happened even when people weren’t losing any weight at all. We look forward to other studies of intermittent fasting that might show more pronounced, longer-term benefits in larger groups of people.